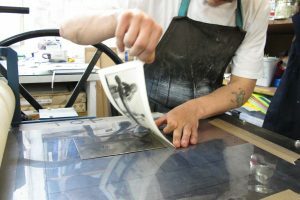 This technique is sometimes so subtle, to the untrained eye it could go completely unnoticed, however the effect it can have on a print can be crucial to the finish of an image. But what is Chine collé? Roughly translated from French: Chine = thin tissue and collé = glue or paste. 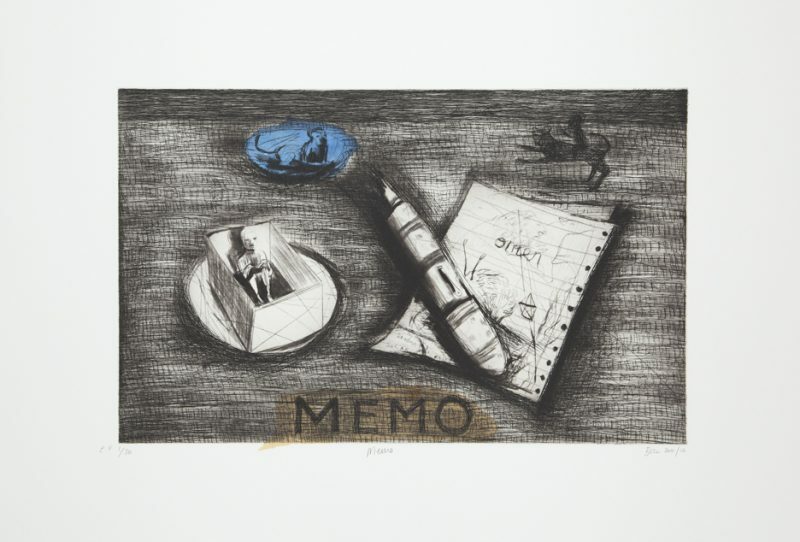 The word Chine was used by Euopeans as the thin paper used in printing often came from China or Japan. 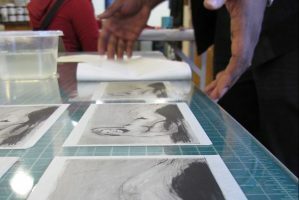 Printing with the use of chine colle is a technique in which an image is transferred to a thin sheet of paper and that thin sheet is bonded to a heavier backing sheet as it passes through the press. 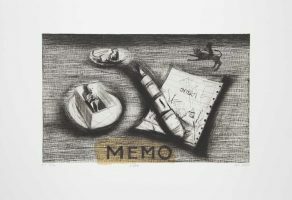 The term also refers to mounting paper or other collage materials such as cloth to a backing sheet. 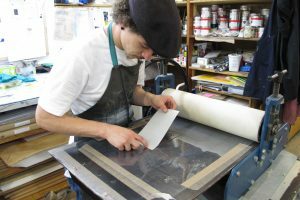 One advantage is to allow the printmaker to print on a much more delicate surface, such as Japanese paper or linen, which pulls finer details off the plate. 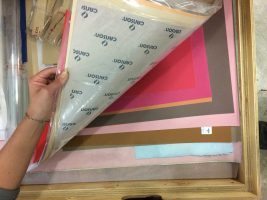 Another advantage is to provide a background colour behind the image that is different from the surrounding backing sheet. 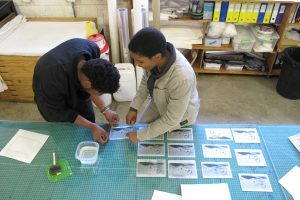 At DKW the print is first printed onto the thin tissue, after which a glue is applied to the printed paper. 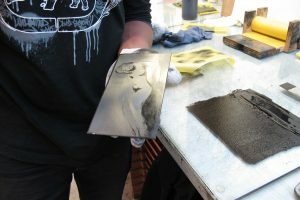 Once dry the paper is trimmed, it is then sent through the press along with a dampened sheet of heavier paper. 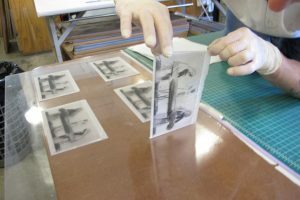 The damp paper reactivates the glue and the pressere adheres the thin printed sheet to the base sheet. Washi is Japanese paper made either by hand, or by machine. 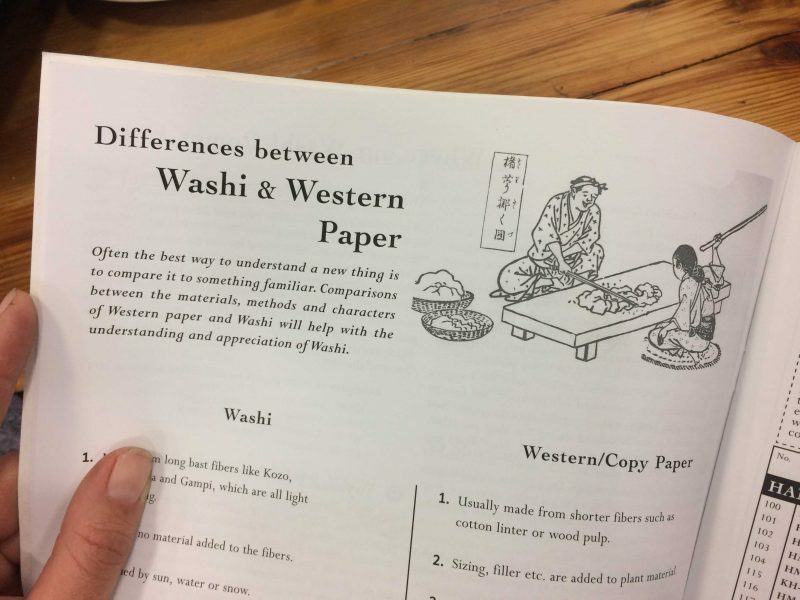 Wa translates to ‘Japanese’ and Shi translates to ‘Paper’. 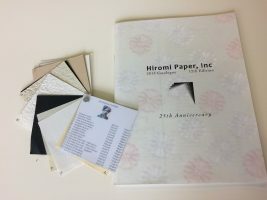 The history of Japanese paper making is rich and is believed to have started over 1,300 years ago. The paper is most commonly made from fibers of the Kozo (Mulberry) bark, Mitsumata and Gampi bush. Gampi cannot be cultivated and is therefore rare and the most epensive of these materials. The paper making process is an art in itself. It is one of harvesting, steaming, stripping and shaving the bark, bleaching in the river and cooking, rinsing and beating, then pressing and separating and then drying in sun and wind. 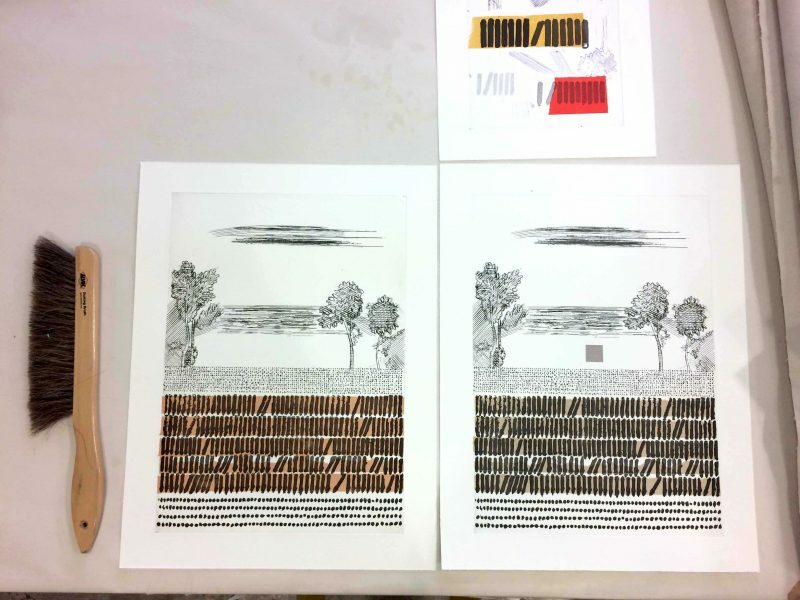 Quinten Williams uses coloured pieces of chine effectively to add tonal areas creating an interesting sense of depth. 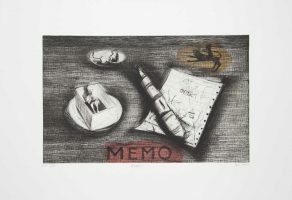 Lorenzo Nassimbeni uses just one full sheet to add a subtle colour to the background separating the print area from the paper. Emalie Bingham uses cut out shapes to contrast her delicate line. 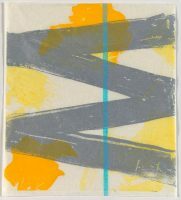 Lynda Ballen uses torn coloured pieces of chine adding colour and shape to her print. 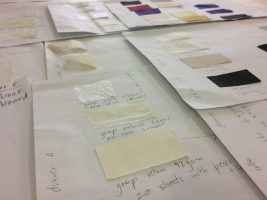 Jaco Van Schalkwyk experiments with the materiality of Chine and does not adhere it to a stronger backing sheet, choosing rather to frame it within two pieces of glass.